Creaky doors from other rooms in the morning .... Hot water in the bathroom dodgy.. 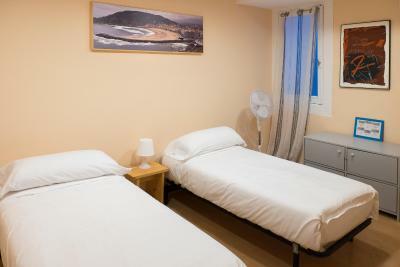 Location is perfect, close to the beach and easy to get to from bus station. A lots of bars and shops around, but this makes it quite noisy unfortunately. All main atractions accesible by foot. The hostel is on a second floor but the building has lift which is very usefull when traveling with lugage. My double room for a single use only was spacious and had two mirrors. Hostel offers towels. Cafe downstairs for breakfast is very comfy. Receptionist was very friendly and helpful. Surroundings were safe for a women travelling alone. The location is perfect, in the center city, but if you are by car is almost impossible to find parking so I needed to pay 24 for euros for the parking 10. Very good located, stuff is nice and helpful. Big rooms. i loved how quaint and charming the space was from the beautiful open shutters in my room looking onto the park and the street below, to the old European feel. We discovered an area outside the kitchen window where they still hang laundry. It is a clean and unique hostel that was a joy to stay at. 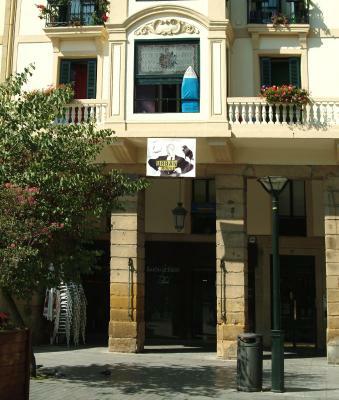 Located in the center of San Sebastián’s old town, Urban House offers rooms with free WiFi. It includes chill-out areas. Some rooms have a terrace with city views and other rooms overlook an interior courtyard. Guests have access to shared bathrooms with showers. 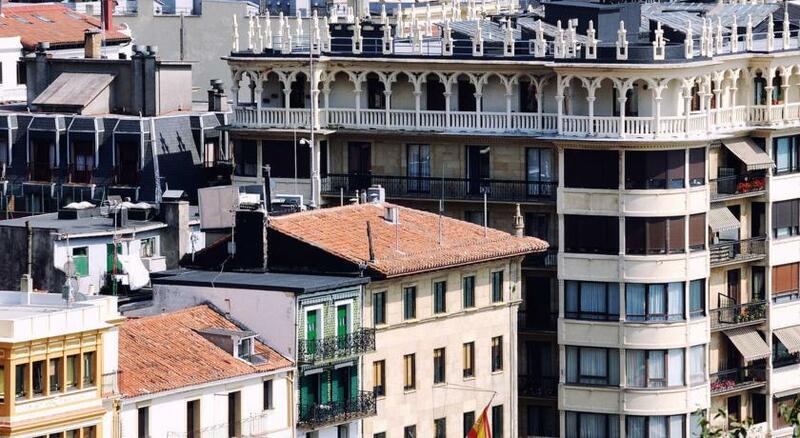 The old town offers a wide range of restaurants and bars where you can sample the famous Basque pintxos. La Concha Beach is just 5 minutes’ walk from the hostel. 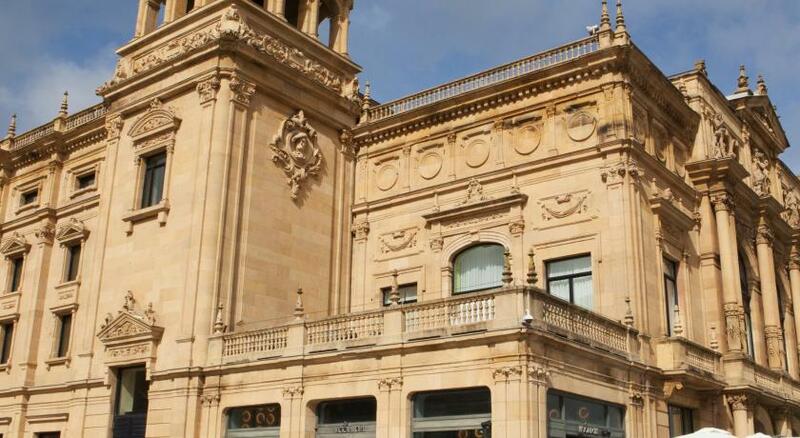 San Sebastián Train Station is 10 minutes’ walk away from Urban House, as well as the bus station. 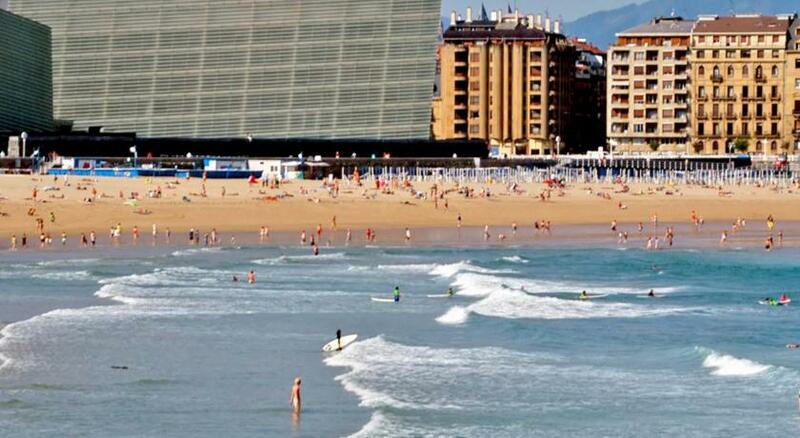 뀐 Located in the top-rated area in San Sebastián, this property has an excellent location score of 9.1! When would you like to stay at Urban House? 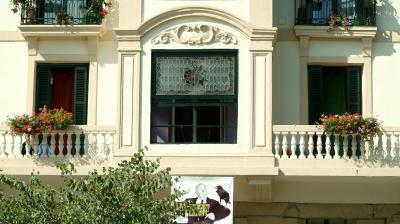 Rooms are decorated in warm colors and feature single beds, and have a balcony or a window with city views. Guests have access to shared bathroom with shower. 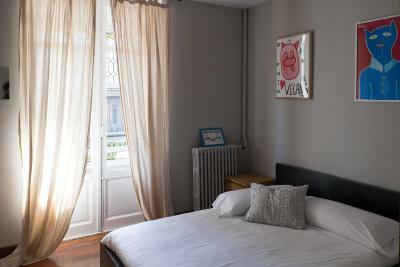 This twin room is an interior-facing room with a window to an interior courtyard. Guests have access to shared bathroom with shower. This room is decorated in warm colors and feature 1 double bed, it includes a balcony with city views. Guests have access to shared bathroom with shower. House Rules Urban House takes special requests – add in the next step! Urban House accepts these cards and reserves the right to temporarily hold an amount prior to arrival. Please note that late check-in after 22:00 is available upon request and carries a EUR 15 surcharge. Please inform Urban House of your expected arrival time in advance. You can use the Special Requests box when booking, or contact the property directly using the contact details in your confirmation. The check in process was appalling. The booking said 2pm check in but when we got there (after ringing various doorbells and phone numbers for 15 minutes) they un-apologetically informed us it was a 3pm check in. We left our bags and came back later - again no answer to the door or phone calls for half an hour. When we were eventually let back in the guy doing the check in clearly had no idea how to do it so another 15 minutes of waiting for him to find bits of paper and make the key card work. Air con didn’t work and it took them 5hrs to get us a portable fan. 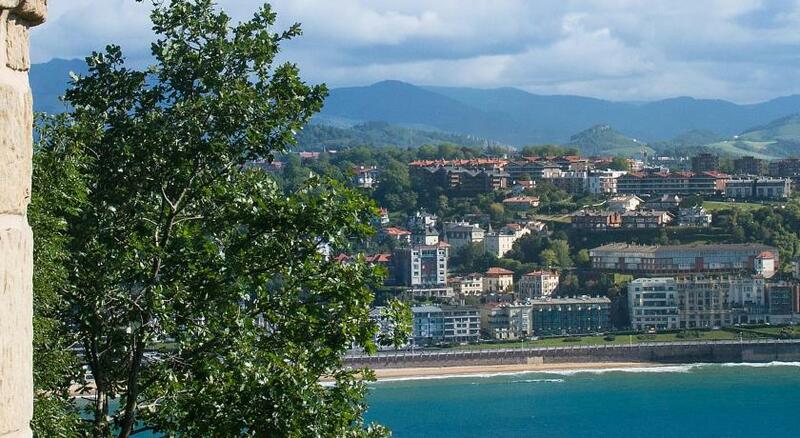 The location is ideal for seeing San Sebastian. All the infrastructure is seriously worn out and needs some correspondent investment; it seems that the owners don't care at all since obviously they still get customers thanks to internet booking !!! The showers and bathroom facilities are really a shame; like many other customers we had no warm water and the service did not reply on the given repair phone number !!!! 10 bed bugs made my night miserable. I want a refund! I didn’t pay a night at urban house to be tortured. Photos are misleading as to the actual condition of the bathrooms which are very used and rather shabby looking. It was all very simple and cheap. The door to my room was paper thin. I was not using kitchen and common room but both looked not welcoming at all. Overpriced for the conditions. Also it is quite noisy if you are light sleeper. I decided to pay extra to stay in the pension room instead of hostel. The room door lock looked like it had recently been burgled and was loosely fixed. The other guests treated the place like a university share dorm. The bathrooms were terrible and there was no hot water to bath in on the morning I left (and it was too early to call the number listed to fix, it was before 9am) I had been staying in a cheaper, cleaner, more efficient hotel in Bilbao just the day before. It was also VERY expensive for what was offered. I have stayed in cheaper, cleaner nicer camping sites than this pension. They have to improve the kitchen times and facilities on it.